This is a free bottle of ink I got from a pen meet last year. The ink came in a bottle that really reminded me of a bottle of jam. Especially when you see the colour of deep blue in the bottle. It looks just like blue berry jam. 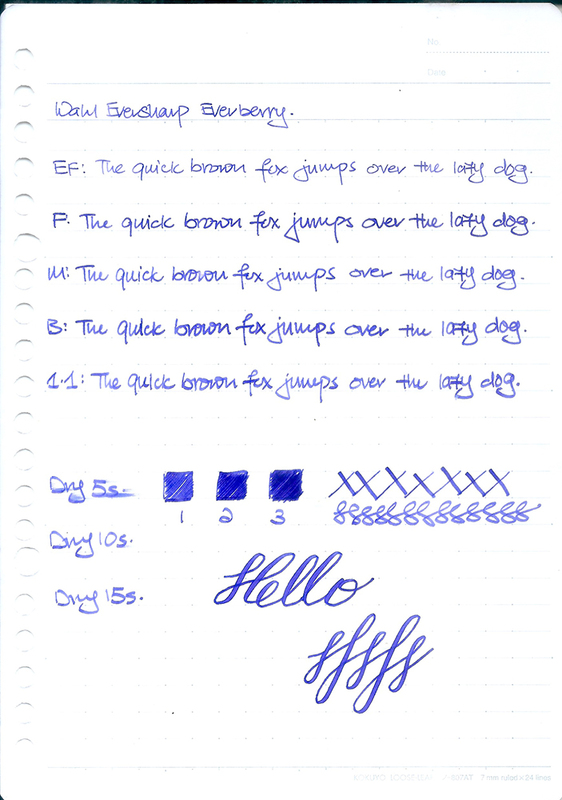 This is my first experience with a Wahl Eversharp ink. 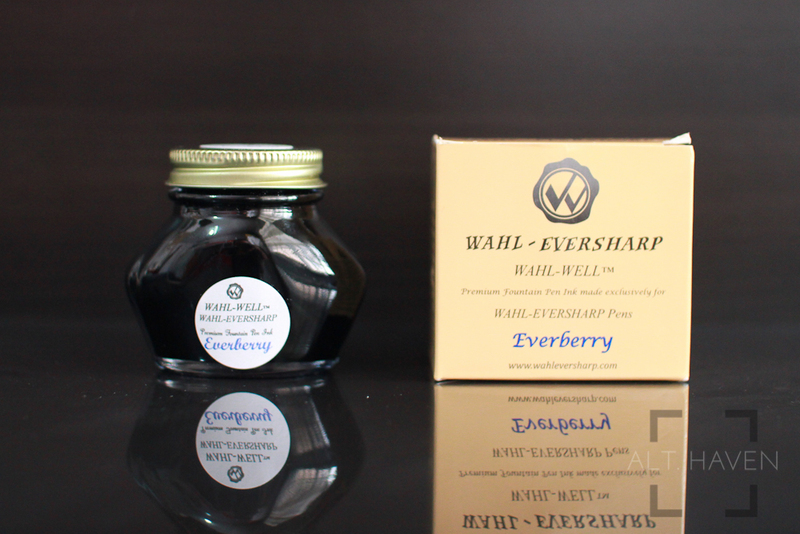 Everberry is a blue verging on purple ink. It’s medium flow ink, not too wet, not too dry. It shades from a light lavender purple to a dark plum / blue colour. It’s hard to put a finger if this a blue or a purple ink. It’s one of those in between ink colour. It has been a great first experience! 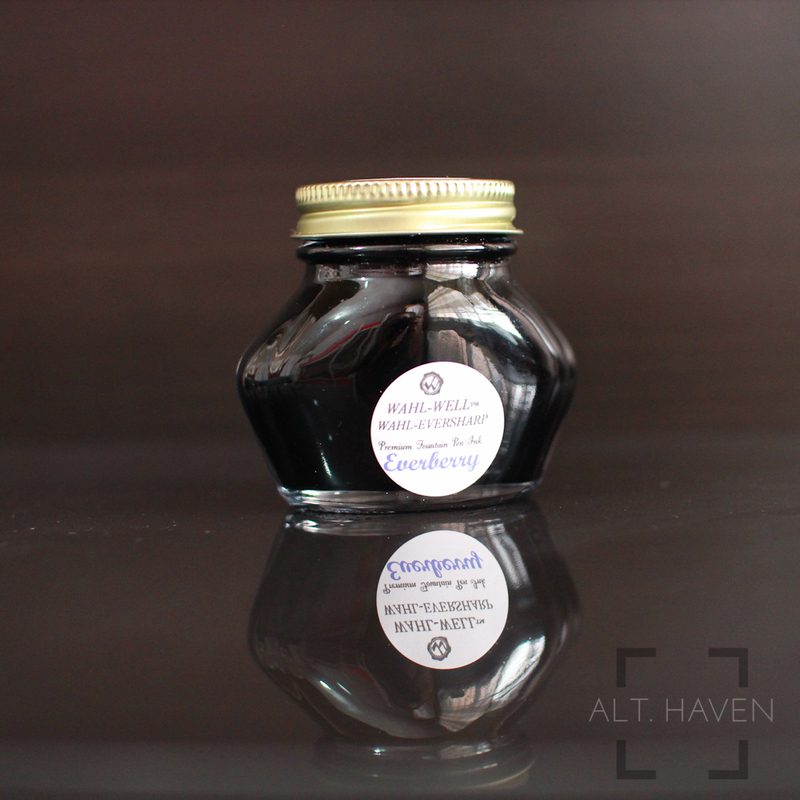 To pay it forward, I am giving away this bottle of ink. All you have to do is leave a joke or comment below. This giveaway ends on 16th May midnight Singapore time. The winner will be announced the following day. This giveaway is open to all residing in Singapore.